Weddings seem to be the new "in" parties, and they are always a good time. Music with live performances and great food aside, celebrating love is one of the best ways to bring people together. But there's also an economic angle. The royal wedding between Prince William and Kate Middleton seven years ago boosted the UK economy by around £2bn through the tourism industry. In India, with 3-5 days set aside to mark the union of two people, a single wedding can earn the economy about as much as $300,000. Safe to say that all Nigerian parents look forward to the day their children get married the most. The "family and friends" factor means that weddings serve the double function of celebrating love and offering a social gathering where old and new connections can bloom. No surprise then that Nigeria's wedding industry has ballooned to be worth millions of dollars. When an upper-class Nigerian couple throws a wedding, at least 1,000 guests are invited. This equates to about ₦20 - ₦100 million, indicating that our celebration culture is nothing short of extravagant. In a country regarded as the world's poverty capital, this largesse might be perceived as misguided spending. However, 'trickle-down economics' argues that one person's spending is another person's income. So can elite weddings make any progress in empowering poorer Nigerians? 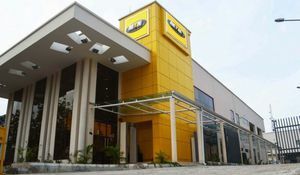 There is evidence that Nigerians' desire to "flex" has provided a boost to the economy. For example, during the country's last recession, the entertainment industry continued to expand even as other sectors shrunk. This similar pattern is observed with big-budget weddings. The cost of living has risen, but it hasn't deterred the big wedding spenders. Additionally, to Buhari's liking, Nigerian weddings have promoted homegrown professionals. Even though Nigerians are still famous for being net importers of many products, the wedding industry appears to be directing more spending within the country's borders. 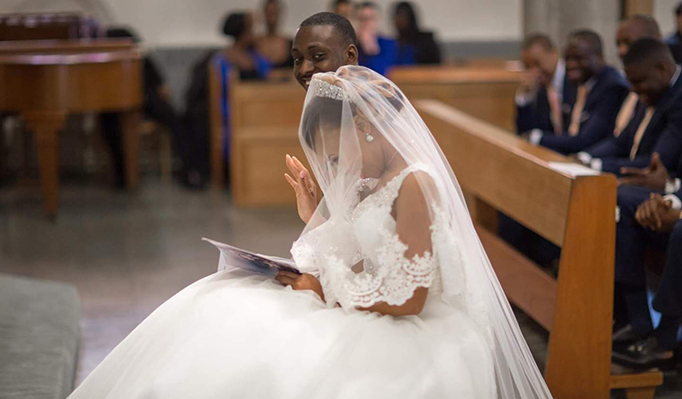 Designers like Deola Sagoe and Mai Atafo have become favourites among brides for their bridal train outfits, instead of foreign designers like Vera Wang. Therefore, we might be tempted to argue that extravagant Nigerian weddings work in the same way as a major city hosting an event like the Olympics. As we have seen, initial wedding spend employs people who will earn an income, which begets additional economic spend. Thus, the wedding industry produces economic rewards that other staple industries have ignored over the years. But we cannot forget that Nigeria’s wedding culture symbolises our massive inequality gap. More than 70% of Nigeria’s population lives below the poverty line- that is at least 87 million people living on less than $1 a day. In this same country, a family can afford to spend ₦100 million on one leg of their child’s wedding celebrations. In fact, expensive weddings are not the only marker of how unequal Nigerian society is. For example, multinational companies are entitled to tax incentives worth an estimated $2.9 billion a year- three times more than our entire health budget. By comparison, small and medium-sized businesses and workers in the informal sector face multiple taxes. Regressive tax policies like this work to keep wealth concentrated amongst a few. This makes it unsurprising that only a small fraction of Nigerians can throw big wedding parties, while poorer couples rely on the state to host mass weddings. 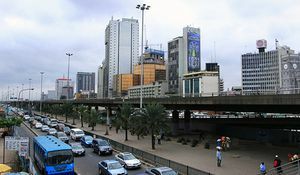 The lavish lifestyles of Nigeria's wealthy population (as evidenced by upscale weddings), while many in the country continue to get poorer, should be a major concern to policymakers. This is because high inequality levels feed into issues as diverse as stability and security, most of which have already become a reality for the northern region of Nigeria. Therefore, our response to this needs to go beyond state-sponsored programmes on mass weddings, while we continue to underperform on the provision of basic social services and under tax the rich. In recent years, the number of Nigerian millionaires has increased by 44%, while the number of people living in poverty has increased by 69%. Clearly, the large and growing gap between Nigeria’s rich and poor cannot be filled by expensive weddings that create new industries and employ more people. Instead, more proactive policies aimed at redistributing wealth will go further in generating real growth than any trickle down from the next socialite couple to say ‘I do’. Are Nigerian banks fit for purpose?